If you love the Game of Thrones franchise as much as we do, you will want to tour it with qualified tour guides who actually know a thing or two about the series and books. Many of our tour guides have actually worked on set and all of them are huge fans! Discover Old Town, aka the capital city of Westeros, King’s Landing. Explore where the most memorable Game of Thrones scenes were filmed. Visit the Pile Gate and the Lovrijenac Fort. Discover why the US production company behind the Game of Thrones series picked Dubrovnik as the setting for the capital city of King’s Landing. The seemingly endless fortified walls will be seen from Lovrijenac Fortress where Tyrion Lannister and Varys took a stroll. You will also see where the scene of “The walk of shame” was filmed. All of the filming locations and commentary from your local guide will be shown to you. 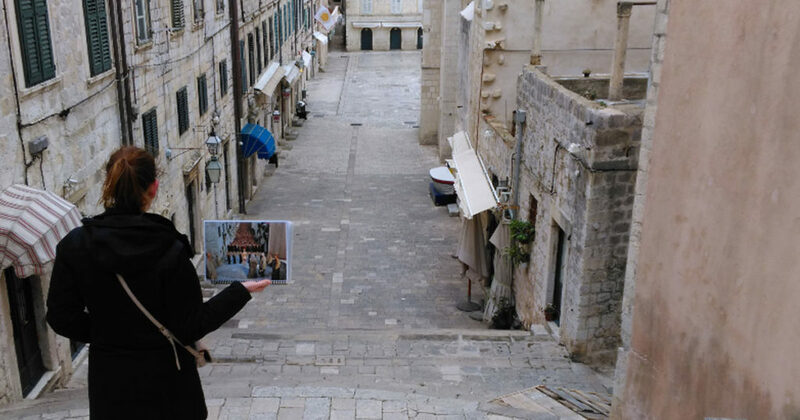 Of course, the people of Dubrovnik are very proud of their own fascinating history, which your guide will teach you about alongside the Game of Thrones commentary. If this sounds like a tour for you, we would love to have you! There are many Game of Thrones packages we offer depending on your timeframe or we can create one for you! Tell us what you want to see and where you want to go and we will make it happen. Each tour is private which means you will have a personal tour guide who will give you their undivided attention. You will not be disappointed. Gear up and get ready to land in the world of King’s Landing. Learn about the show, the characters and the places that helped make this show come to life. While you are here, visit our wonderful country and learn about its amazing history, aside from Game of Thrones. We are a people and culture who run much deeper than a show and we are happy to have you here! Extremely historical and educational- all the things we didn't even know we wanted to know! For GOT he's read them all and watched every episode with the depth of viewing more than once! I was very impressed and even with two non fans everyone enjoyed the tour and lunch suggestions.